The Equinox GTS is the new sister to the Solstice GTS. As the name implies, the Equinox is shorter than the Solstice at a compact 16 feet long, nimble, efficient and straight tracking are just some of the excitement found in the Equinox GTS. 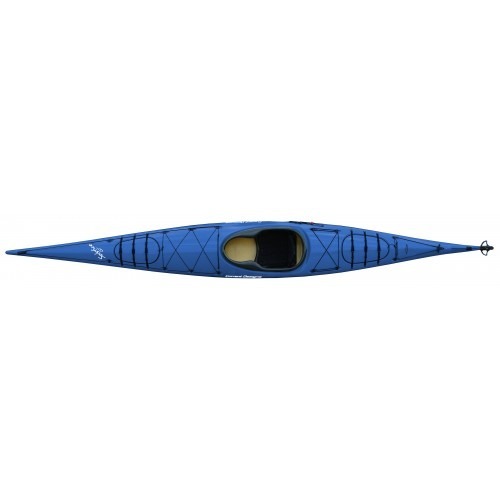 Modest and smaller paddlers will appreciate this compact North American kayaks built for evening tours and long weekend excursions. The Equinox delivers beautiful glide and crisp acceleration while maintaining confidence through its stability profile. The user-friendly key-hole cockpit and complete outfitting make the Equinox GTS ready for your next adventure.